Sublingual Immunotherapy Treatment: Why the La Crosse Method? Allergy Associates of La Crosse / Why the La Crosse Method? For nearly 50 years, Allergy Associates of La Crosse has pioneered the use of allergy treatment using sublingual immunotherapy. Often called allergy drops, sublingual immunotherapy is placed under the tongue. We developed the La Crosse Method Protocol which is a comprehensive tool for diagnosing and precisely treating allergies and related conditions. Our protocol is the most widely used and clinically established published sublingual immunotherapy protocol in the U.S. It provides a safe, effective alternative to allergy shots and treats the root cause of your allergies. What makes the Protocol different is our approach, based on key factors that have been developed over nearly 50 of clinical use, international research, and an understanding of the unique mechanism that makes it so well attuned to providing patients with a safe, effective way to retrain the immune system to tolerate the allergens that make them sick. We believe that no two patients have the exact same allergies. Our treatment is based on very thorough diagnostics, testing, and is specific to each patient’s unique “allergic fingerprint” using optimal dosing. Sublingual immunotherapy is a safe, low cost treatment that can be taken wherever it’s convenient. It means typically fewer clinic visits than shot immunotherapy – usually only a couple of rechecks annually after starting therapy versus weekly, bi-weekly, or monthly shot visits. Because of the treatment’s safety profile, allergy drops can help more people with more allergies, including those with allergies to foods and molds. The La Crosse Method can address more allergy-related health conditions like asthma and eczema (atopic dermatitis). 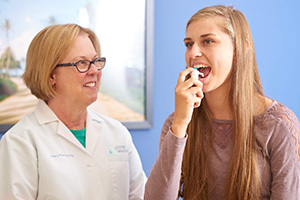 And sublingual immunotherapy can help more patients including infants, the severely allergic, and countless others who have given up hope of an effective allergy treatment.